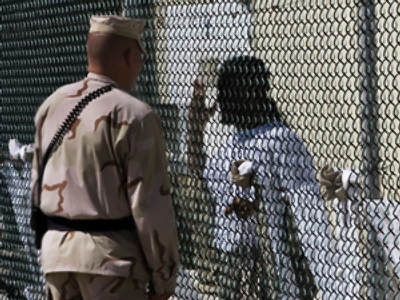 A Spanish court will consider launching a criminal case against six former high-ranking officials from the Bush administration, for providing legal cover for torture at the Guantanamo prison, The New York Times reports. The officials include former Attorney General Alberto R. Gonzales; former Undersecretary of Defense for Policy, Douglas J. Feith; David S. Addington, Chief of Staff for then-Vice President Richard B. Cheney; Justice Department officials John Yoo and Jay S. Bybee; and Pentagon lawyer William J. Haynes. The complaint – prepared by Spanish lawyers, together with American and European experts, and filed by a Spanish human rights group – is now being reviewed by investigative judge Baltasar Garzon. He is known for ordering the arrest of the former Chilean dictator, Augusto Pinochet, and for the outspoken criticism of the treatment of Gitmo detainees. According to Garzon, it is “highly probable” that the criminal case will be opened. 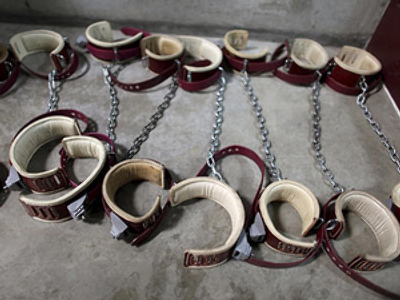 Madrid lawyer, Gonzalo Boye, said the role of the six officials in approving illegal interrogation techniques and redefining torture is well-documented. The newspaper notes that, if issued, arrest warrants would be more of symbolic than practical significance. Indeed, the warrants are unlikely to lead to actual arrests if the officials in question stay in the United States. The complaint, filed to the prosecutor’s office, is based on the Geneva Conventions and the 1984 Convention Against Torture, to which Spain and the US are parties, along with 143 other countries. Signatories to the convention have the authority to investigate torture cases, especially when their citizens are concerned. That is exactly why Spain can claim jurisdiction – five citizens and residents of the country have been allegedly tortured at the infamous prison. The paper concludes that the United States is likely to ignore a possible extradition request from Spain, because so far the Obama administration has not responded to calls from the Justice Department to launch a criminal case against John Yoo and others.